There has been an explosion of companies selling mattresses, have you noticed? Pre-Christmas, I got spammed to death on Facebook from various companies offering me a 'Free 100-Day Trial' of their most comfiest mattress. I wasn't interested at this point... but my head had been turned. This was the advert I was first confronted with and probably saw about seven or eight times before I actually clicked on it for the first time. I seem to remember looking at this after having a horrendous night's sleep. A very timely advert indeed. Have I just used the word "saucy"? Dear me, Anyway, the video they created was borderline sexual, and by positioning them pre-watershed on television, as well as on YouTube, Simba Sleep caused a stir - enough of a stir for me to Google the video and watch it. It helps when someone endorses a product before you buy it, doesn't it? 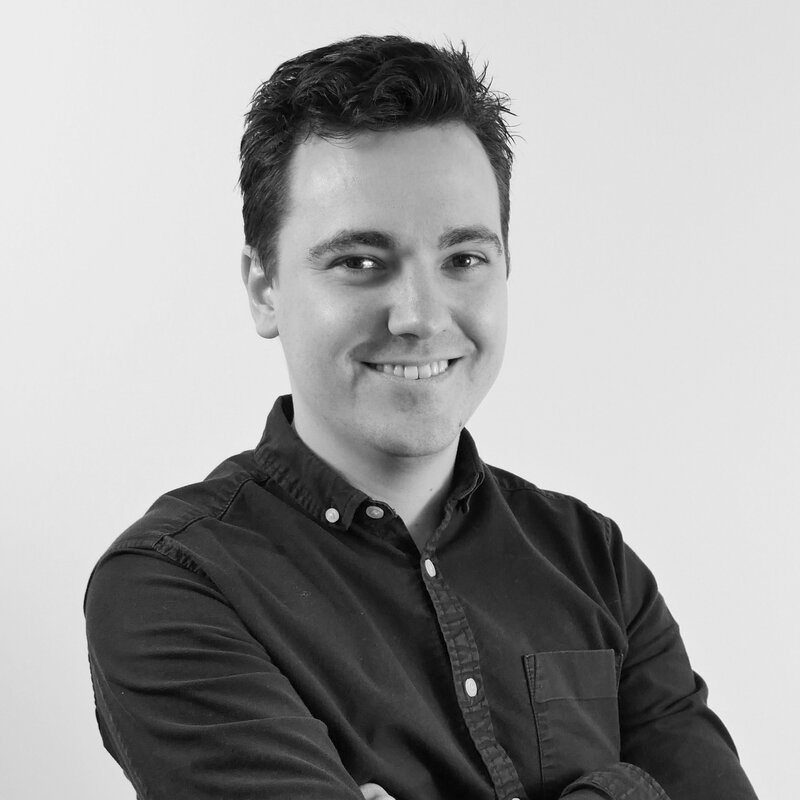 As well as sharing real-life testimonials on their social media feeds, they've also had some third party endorsement from celebrity comedian, Russell Kane. With 896,000 followers as of April 2017 and a huge following amongst 20 and 30-somethings, it is yet another piece of their digital marketing strategy that edged me closer to purchase. After following their social channels, I finally caved in and went onto their website to find out more. The website is clean, concise, engaging, and ultimately, easy to make a purchase. Animations show just what's inside the mattress that makes it 'The Most Advanced Mattress in the World' - as well as telling me why there's no need to look anywhere else than Simba for a new mattress. I was warming up to the idea. After going on their website for the first time - THEY GOT ME! 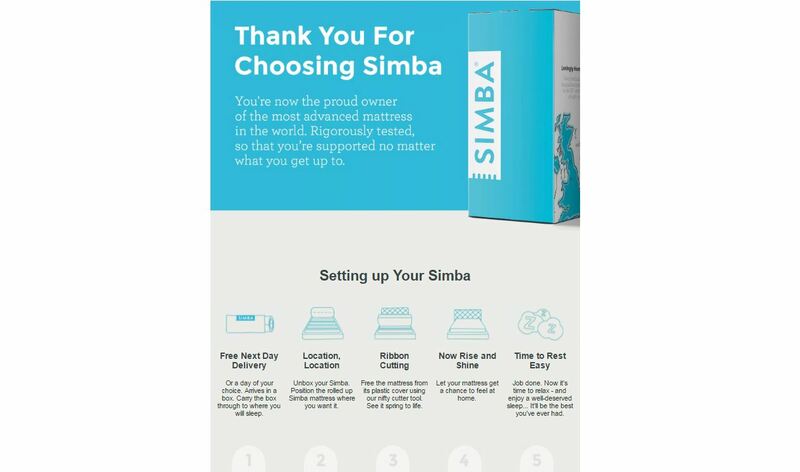 Facebook's remarketing adverts allow companies, like Simba Sleep, to target adverts at us based on who's been on their website. Very clever. They knew I was interested, because I'd been on the site, and they clinched the deal when I saw this on Facebook... how could I resist? Yes, that £50 off fast-tracked me to the "Buy Now" option, and before I knew it, I was the proud owner of a brand new mattress. But that isn't where the "perfect" digital marketing strategy ends. As well as my brand new mattress, I also got a nicely branded (albeit bashed) box and an information pack too. The pack included a branded safety cutter to carefully cut through the packaging. Cool, eh? My final communication from them (so far) has been this email telling me exactly how to unpack and make the most out of my new mattress. 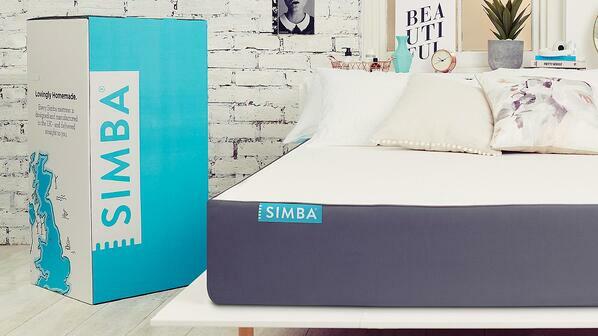 The next step for Simba Sleep, if I was running their digital marketing strategy, is to tap into my new found brand evangelism! Send me an email offer to pass on to my friends and family. Or, try to upsell to me with their soon-to-be-launched range of bed frames. Nothing is ever perfect, but this digital marketing strategy worked a treat on me, and thousands of other Simba Sleep mattress owners. What is making this strategy so successful is their willingness to invest in aligning their marketing messaging and channels. Right from the first advert, the brand and messaging are clear - Simba Sleep, 'The Most Advanced Mattress in the World'. This has flowed through seamlessly from their social media and website, right through to the information pack and actual box the mattress comes in. This alignment, and wise investment in paid online advertising too, is reaping the rewards for a company that so far only has one product. A simplistic and authentic digital marketing strategy - just the thing we love to work on and like to see from others too.